The Mall of America blog tipped us off to yet another Glee sighting, this time of members of The Warblers at - where else? - the MOA. 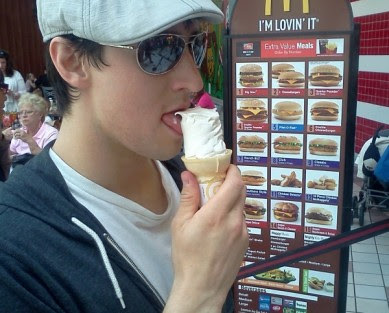 Via the Mall of America blog: "Today, Glee’s popular cast members, The Warblers stopped by, making visits to Gap and McDonald's. 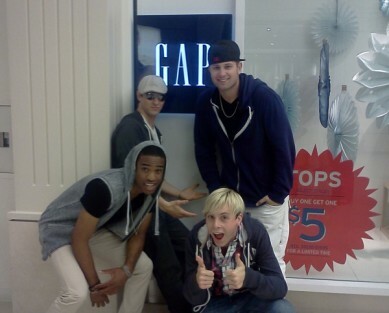 Members of the a capella group Jon Hall (@jonhall28), Curt Mega (@curtmega), Riker Lynch (@rikerR5) and Titus Makin, Jr. (@titusmakin) tweeted that they were at Mall of America and soon, Twitter was flooded with requests for an impromptu performance."